Trying to figure out an inexpensive way to feed the family? Try one of the three food specials offered Friday, May 28 through Thursday, June 3 at Karma (510 E. Route 83, Mundelein; 847-970-6900). Karma offers these items in addition to its regular menu. Start with a Salad featuring smoked salmon carpaccio, field greens and a Yuzu dressing ($7). For an entrée, enjoy Tempura Jumbo Prawns with a chipotle crème, Jasmine rice and baby bok choy ($22). Indulge in a dessert of Lychee Tapioca garnished with peaches and green tea white chocolate lattice ($7). Karma is a sophisticated restaurant with a zen-laced atmosphere that serves Pan-Asian cuisine. Breakfast is served 6 a.m. - 10:30 a.m. daily, lunch is offered 11:30 a.m. – 2 p.m. daily and dinner runs from 5 p.m. -10 p.m. Sunday through Thursday, and 5 p.m. - 11 p.m. Friday and Saturday. Karma’s lounge is open one hour later daily. For more information, visit www.karmachicago.com or dial (847) 970-6900. Follow Karma on Twitter at @karmamundelein. Still looking for something to do this holiday weekend? Satisfy that hungry stomach with weekend specials made by Chef Daniel Ovanin after 5 p.m. Friday, May 28 and Saturday, May 29 at Glen Prairie (1250 Roosevelt Rd., Glen Ellyn; 630-613-1250). For starters, enjoy Seared Sea Scallops with toasted quinoa, citrus aioli and bell pepper garnish ($9). The dinner entrée is Becker Lane Organic Seared Pork Chop with toasted almond-tomato jam and Yukon Gold whipped potatoes ($21). All dishes feature ingredients sourced from area farmers and ranchers. Glen Prairie offers these specials in addition to the regular menu. For more information, visit www.glenprairie.com or call (630) 613-1250. Follow Glen Prairie on Twitter at @glenprairie. What better way to say congratulations than by treating that special 2010 graduate with a private party? 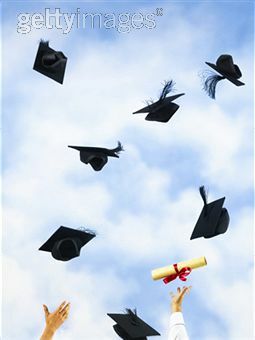 Bring the entire family to Birch River Grill (75 W. Algonquin Rd., Arlington Heights; 847-427-4242) and celebrate that graduate’s hard work. 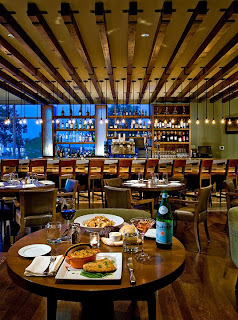 Birch River Grill is a contemporary restaurant that serves as a showcase for hearty American cuisine. It is open seven days a week and accepts all major credit cards. Complimentary parking is available. For Birch River Grill’s hours please visit www.birchrivergrill.com. Birch River Grill offers a private dining room that accommodate up to 50 guests. 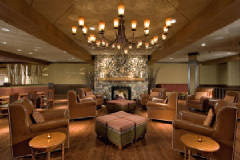 To make a reservation for parties up to eight people visit www.birchrivergrill.com. For parties larger than eight, send an email to events@birchrivergrill.com or call (847) 427-4242. Visit Birch River Grill’s Twitter page at @birchrivergrill. Summer is almost here, which means there will soon be plenty of fresh, local produce to go around. Skip the farmer's market and let the produce come to you with a convenient Community Supported Agriculture (CSA) program, like the CSA program offered at Chicago-area Illinois Tollway Oases this summer through a unique partnership between Illinois Tollway, three local farms and U.S. Equities Realty (manager of the Tollway Oases). 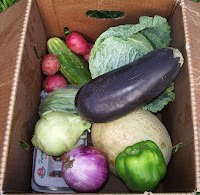 CSAs serve as a connection between the farmer and the community, with customers agreeing to pay a flat rate for fresh produce to be delivered weekly throughout the growing season. 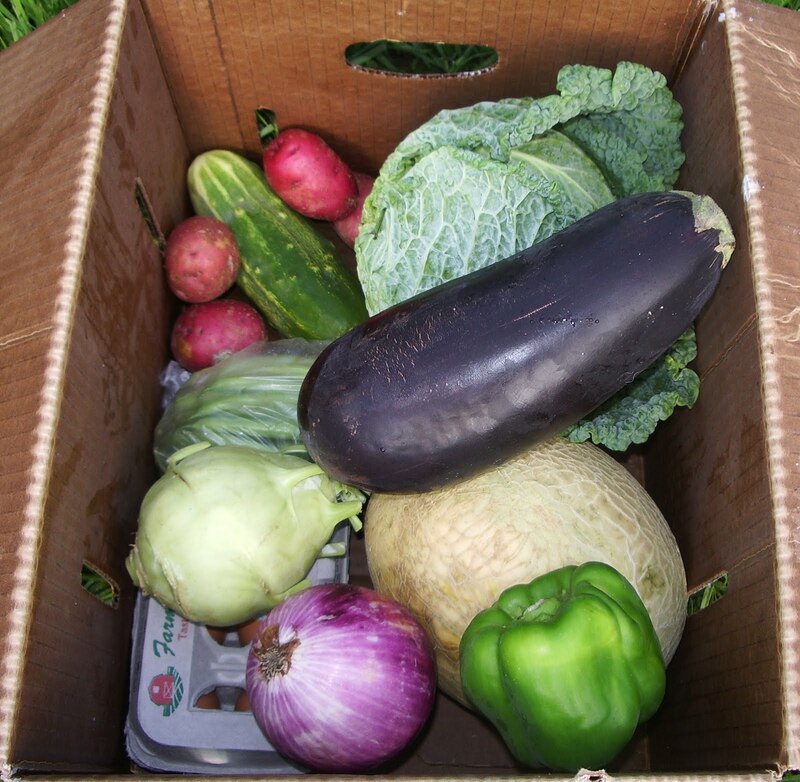 It's not too late to sign up for this CSA! Twitter users get a chance to become one of 15 lucky winners, who could receive 10% off their Oasis CSA membership. Simply be one of the first 5 people to sign up at any of the three participating farms and receive 10% off the cost of your membership. Simply call the farm you are interested in obtaining a membership from and mention the Oases/CSA Twitter Promotion to see if you are one of the first 5 to call in and sign-up. For more information on this new summer CSA program, visit here. 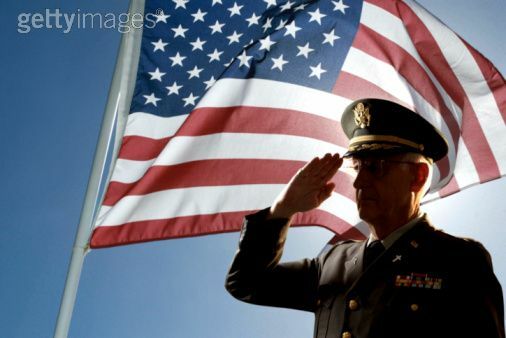 For more information on U.S. Equities, visit http://www.usequities.com/. Still making weekend plans? Taste Chef Daniel Ovanin's farm-fresh weekend specials after 5 p.m. Friday, May 21 and Saturday, May 22 at Glen Prairie (1250 Roosevelt Rd., Glen Ellyn; 630-613-1250). 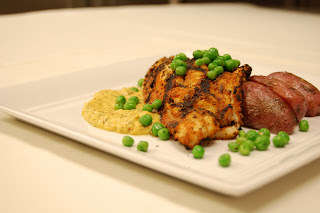 Enjoy Petite Iowa Farmed Strip Steak, slow roasted with wild mushrooms, potato fondant and lemon butter broccoli ($24) or Miller Farms Pan Roasted Chicken with white wine braised dates with spiced spring onions and toasted Israeli couscous. For dessert, dive into the Buttermilk Pie with Michigan strawberries, rhubarb, flaky crust and pistachios. These specials are offered in addition to the regular menu. Glen Prairie serves contemporary American cuisine, with a strong emphasis on local Midwest flavors and products. Breakfast is served 6 a.m. until 11 a.m. Monday through Friday and 7 a.m. until 11 a.m. Saturday and Sunday. Lunch hours are 11 a.m. until 5 p.m. daily. Dinner is served 5 p.m. until 10 p.m. Sunday through Thursday, and 5 p.m. until 11 p.m. Friday and Saturday. The lounge remains open one hour later than the restaurant each day. For more information, please visit www.glenprairie.com or follow them on Twitter at @glenprairie. Make a difference in someone’s life by supporting the Leukemia & Lymphoma Society from 6 p.m. to 9 p.m. on Tuesday, May 18 at Bella Bacinos (36. S. La Grange Rd., La Grange; 708-352-8882). Throughout the event, Bella Bacinos will give the Leukemia & Lymphoma Society 100 percent of the proceeds made. The cost is $30 per person and includes beer, wine and food. The Leukemia & Lymphoma Society is the world’s largest voluntary health organization dedicated to funding blood cancer research, education and patient services. Their mission is to cure leukemia, lymphoma, Hodgkin’s disease and myeloma and to improve the quality of life of patients and their families. For more information please visit www.leukemia.org or call (800) 955-4572. Located in the heart of Downtown La Grange Bella Bacinos offers authentic Italian Food. Bella Bacinos hours are 11:30 a.m.-9 p.m., Tuesday through Thursday; 11:30 a.m. - 10:30 p.m., Friday through Saturday; and 11:30 a.m. - 9 p.m. Sunday. For more information visit the Bella Bacinos website or call (708) 352-8882. Print and present the flyer (stay tuned for flyer information) to California Pizza Kitchen and 20 percent of the check will be donated to ASLF. California Pizza Kitchen is a leader in authentic California-style cuisine with a recognized consumer brand and an established, loyal customer base. There are currently more than 250 California Pizza Kitchens in 32 states and nine foreign countries. For more information visit www.cpk.com. Make plans for the weekend! Enjoy great food at an affordable price from 5 p.m. through 10 p.m. on Friday, May 14 through Sunday, May 16 at Dine (733 W. Madison St., Chicago; 312-602-2100). Sink those teeth into P.E.I. Mussels served in saffron broth with a grilled French baguette ($8), Chicken Enchiladas with pulled chicken, queso fresco, served with sautéed potatoes and carrots ($16), or Pan-Seared Walleye encrusted with panko bread crumbs and fresh parsley served with macaroni and cheese and vegetable of the day ($20). This menu is offered in addition to Dine’s regular menu. To make reservations please call (312) 602-2100 or visit www.dinerestaurant.com. Out with the old and in with the new! Taste the latest additions on the menu at Karma (510 E. Mundelein, Ill; 847-970-6900) starting today, Thursday, May 13. Try the new Kamakazi Shrimp with a choice of pappadew or pickled habaneros peppers with a sriracha aioli ($10), Pacific Rim Mahi-Mahi with seared mahi encrusted with chili spiced shrimp and scallops, wok tossed vegetables, black rice and a tobiko sauce ($22), Honey Tamari Chicken with a sautéed spinach and wok tossed julienne vegetables on a glass noodle nest ($19) or Beef Jap Chae with Dangymen noodles combined with strips of beef, vegetables and a soy ginger glaze ($17). Check out Karma’s new wine and drink menu. The menu includes Wine and Martini Flights. 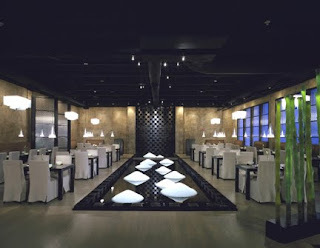 Karma is a sophisticated restaurant with a zen-laced atmosphere that serves Pan-Asian cuisine. Breakfast is served 6 a.m. until 10:30 a.m. daily. Lunch hours are 11:30 a.m. until 2 p.m. daily. Dinner is served 5 p.m. until 10 p.m. Sunday through Thursday, and 5 p.m. until 11 p.m. Friday and Saturday. The lounge stays open one extra hour each night. For reservations please call (847) 970-6900 or visit www.karmachicago.com. Follow them on Twitter at @karmamundelein. Opening in mid-June, Mayne Stage (1328 W. Morse Ave., Chicago; 773-381-4554), is poised to present a diverse entertainment calendar of established and emerging performers in its intimate, sophisticated atmosphere with state of the art sound, lighting and recording amenities. Reflecting its location in the diverse Rogers Park neighborhood, Mayne Stage will showcase an eclectic mix of musical styles including jazz, cabaret, classical and more. In addition to music, a variety of comedy, theatrical and family programs are promised to appeal to a wide audience. Mayne Stage officially opens in mid-June as one of the locations for the TBS Presents a “Very Funny” Festival: Just for Laughs and will feature The Not Inappropriate Show, featuring Bob Odenkirk and Kate Micucci. For show times and to purchase tickets, visit www.justforlaughschicago.com. 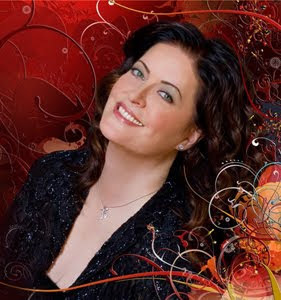 Other artists currently scheduled to appear include nationally acclaimed singer/songwriter Ann Hampton Callaway on July 2 and 3, Chicago favorite Ron Hawking July 8, 9 and 10, Beckie Menzie and Tom Michael in That 60’s Show on July 23 and Mike Toomey’s TV & Me on July 24. Show times and ticket information for t hese shows and other upcoming performances is available at www.maynestage.com. All shows are subject to change. Booking and creative development for the venue is handled by industry veteran Denise McGowan Tracy and her DMT Entertainment, Inc.
“I am thrilled to have the opportunity to book this new, yet historic, venue. Live entertainment is crucial to the fabric of Rogers Park and Chicago. Mayne Stage provides the perfect setting for both the artist and the audience to enjoy the live performance experience,” said McGowan Tracy. The 299-seat venue is unique in its flexibility and versatility. Mayne Stage offers attractive cabaret and theater style seating, comfortable booths on the mezzanine level as well as balcony seating – all with excellent sightlines. 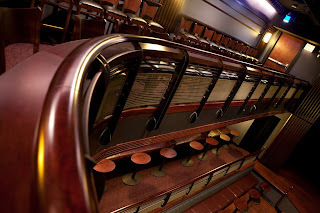 With its state-of-the-art sound and lighting systems, nine-foot Steinway piano and intimate feel, Mayne Stage is an exceptional venue for a wide range of performance styles. Comfortable and beautifully lit, full-service bars on the main level and the mezzanine level complete the experience. Mayne Stage has been designed as a unique, memorable space for both public performances and private events. 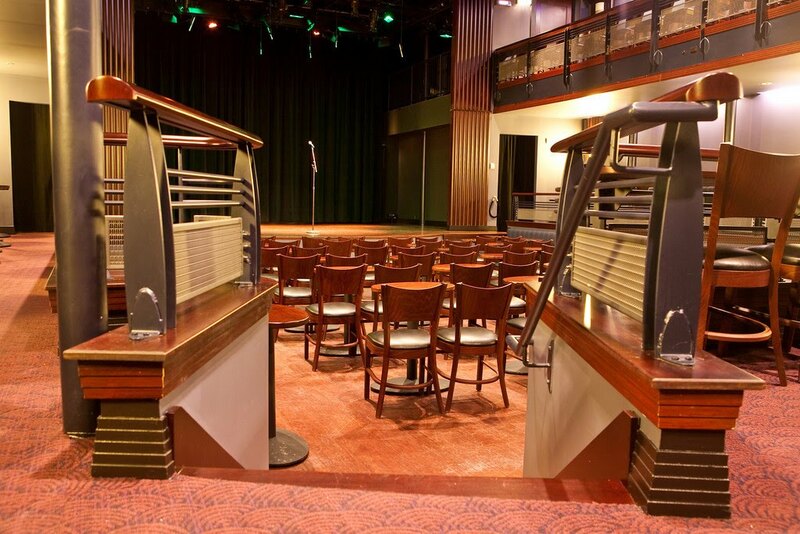 The bar areas on both levels outside the main theater room are perfect for private receptions before and after performances. The flexibility of the seating area in the main room allows clients to customize the room for a myriad of events, from meetings and award celebrations, to themed social events, fundraisers and large personal celebrations and parties. Recognizing its exceptional performance capabilities, McGowan Tracy has big plans. Mayne Stage can also serve as a rehearsal, recording and performing arts facility. In addition to its state-of-the-art sound and lighting, Mayne Stage offers a digital mixing console and electronic recording equipment. Musical artists, theatrical groups and film producers will find Mayne Stage the perfect venue for producing live recordings, conducting auditions or holding rehearsals. Its 298-inch projection screen and high-definition digital projector add cinema capabilities for multimedia performances providing the perfect backdrop for film screenings, seminars, workshops and corporate presentations. Mayne Stage is located at 1328 W. Morse Ave. in Chicago’s Rogers Park neighborhood. Mayne Stage showcases emerging and established local and national musical acts, theatrical performances, comedy and more. It is the ideal location for a variety of private events. 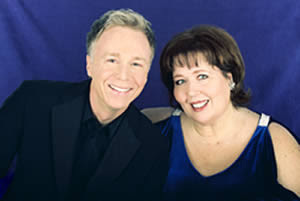 For more information, or to see a list of upcoming shows, call (773) 381-4554 or visit www.maynestage.com. Non-profit civic group Friends of Downtown presented Chicago French Market (131 N. Clinton St., Chicago; 312-575-0306) with the “Welcome to Downtown” award at the organization’s annual awards presentation Wednesday, May 5 at ZED 451 in Chicago’s River North neighborhood. Accepting the award on behalf of Chicago French Market, U.S. Equities Realty and the Bensidoun family were Jennifer Siragusa of U.S. Equities Realty and Chicago French Market manager Leslie Cahill. Other award winners included “Coolest Things,” The Ledge at Skydeck Chicago at Willis Tower (also managed by U.S. Equities Realty); “Best Commemoration,” Burnham Plan Centennial; “Quality of Life,” CTA Bus Tracker; “Best New Open Space,” The Riverwalk Extension; “Life Boat,” Water Taxis; “Best Restoration,” Sullivan Center Ironwork; “Best New Office Building,” 300 N. LaSalle; “Best New Building,” Trump International Hotel & Tower; and “Best Ripple Effect,” Aqua. Founded in 1981, Friends of Downtown is a not-for-profit civic group that promotes intelligent planning, superior design and awareness of important issues affecting Chicago’s downtown area. Friends of Downtown creates awareness of important issues affecting downtown, enabling citizens to develop their understanding and voice their opinions of Chicago’s physical and social environment. For more information on Friends of Downtown, call (312) 458-9454 or visit http://www.friendsofdowntown.org/. 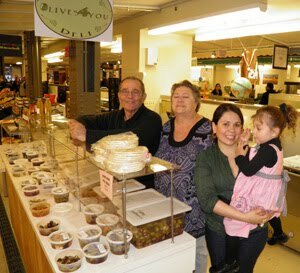 Chicago French Market is a European-inspired market offering an array of local produce, meats, seafood, breads, pastries, cheese and wine, chocolates, pastas, artisan-made goods, flowers and a seating area for customers. Chicago French Market’s 30 vendors stay open year-round, six days per week, and is located within the new MetraMarket development at 131 N. Clinton St. (between Washington and Randolph Streets). For more information, visit http://www.chicagofrenchmarket.com/. Writing restaurant features for DineWise has its perks. We’ve met a lot of wonderful restaurateurs and have eaten some tremendous meals. Along the way, we’ve been fortunate to attend a lot of fabulous events, including this week’s 2010 James Beard Foundation Awards, the nation’s most prestigious recognition program honoring professionals in the food and beverage industries. The Outstanding Service Award went to Chicago’s Alinea, chef/owner Grant Achatz. Koren Grieveson, Avec chef, took home the award for Best Chef, Great Lakes. Whether or not nominees took home an award, being recognized by the James Beard Foundation is an honor for chefs, restaurants and journalists who cover them. Chicago’s nominees represented our best, Michael Carlson, Schwa; Arun Sampanthavivat, Arun’s; Mindy Segal, Hot Chocolate, and Bruce Sherman, North Pond. Journalists nominated included WLS-TV’s Hungry Hound Steve Dolinsky; Mike Sula, Chicago Reader; Kevin Pang, Chicago Tribune, and Monica Eng, Chicago Tribune. Rick Bayless was nominated as a TV Food Personality for his PBS series, Mexico One Plate at a Time. Restaurateurs are known for mentoring young professionals interested in the business. This year’s theme embraced the idea at all levels. In addition to the luminaries, the function showcased up-and-comers at the post-event reception including Priscilla Satkoff (Salpicon), serving Miniature Tostadas with Shredded Pork, Chorizo and Roasted Tomato-Chipotle Sauce, and Curtis Duffy (Avenues) who showcased Alaskan King Crab with Cucumber Consomme, Kalamansi, Floral Cream, and Lemon Balm. During a ceremony hosted by Lidia Bastianich, Alton Brown and Wolfgang Puck at Lincoln Center's Avery Fisher Hall, awards in the Restaurant, Chef, Design and Graphics categories were presented, as well as a number of special achievement awards including Who's Who of Food and Beverage in America, America's Classics, Lifetime Achievement, and Humanitarian of the Year. Winners of the Foundation's Book, Broadcast Media and Journalism awards categories were presented the evening before, on Sunday, May 2, 2010, at the annual Media and Book Awards dinner at Espace in New York City, hosted by Kelly Choi of Bravo's Top Chef Masters and Andrew Zimmern of the Travel Channel's Bizarre Foods. A complete list of all award-winners can be found on http://www.jbfawards.com/. M.F.K. Fisher Distinguished Writing Award: Francine Prose, Saveur, "Faith and Bacon"
Craig Claiborne Distinguished Restaurant Reviews: Jonathan Gold, LA Weekly, "Sauced," "Hot Birria, Cold Cerveza," "Hare Today"
Industry leaders from across the country attended the highly-anticipated festivities, which celebrated this year's Awards theme of "The Legacy Continues," a tribute to the enduring impact of the standards of culinary excellence set by James Beard himself and all the talented professionals who keep those traditions alive. In a nod to this year's theme, each of the Outstanding Chef winners honored over the years, including Mario Batali, Thomas Keller, Jean-Georges Vongerichten, Daniel Boulud, Nancy Silverton, Rick Bayless, Grant Achatz, Alfred Portale, Dan Barber, Larry Forgione and David Bouley, served as award presenters throughout the evening at the Awards Ceremony on Monday, May 3, 2010. At the Gala Reception immediately following the Awards Ceremony, guests enjoyed a dine-around gala prepared by notable chefs from across the country, each of whom was personally selected by a past Outstanding Chef winner. Established in 1990, the James Beard Foundation Awards recognize culinary professionals for excellence and achievement in their fields and continue to emphasize the Foundation's mission: to celebrate, preserve, and nurture America's culinary heritage and diversity. The annual James Beard Foundation Awards honor the best and the brightest talents in the food and beverage industries, celebrating outstanding achievement in each of the following categories: Restaurant and Chef, Restaurant Design and Graphics, Books, Broadcast Media, Journalism, and special achievement awards. Each category has an individual Awards Committee made up of industry professionals who volunteer their time to oversee the policies, procedures, and selection of judges for their respective Awards program. All award winners receive a certificate and a bronze medallion engraved with the James Beard Foundation Awards insignia. There are no cash prizes. The 2010 James Beard Foundation Awards are presented with support by the following companies: In Association Sponsors: All-Clad Metalcrafters, Visa Signature®; Premier Sponsors: Green and Black's® Organic Chocolate, Lenox Tableware and Gifts, Mercedes-Benz; Supporting Sponsors: The Coca-Cola Company, Delta Air Lines, Food Network NYC Wine and Food Festival, illy caffe North America, Inc., Louisiana Department of Culture, Recreation and Tourism, Southern Wine and Spirits of New York, Stella Artois; Gala Reception Sponsors: Acqua Panna® Natural Spring Water, Beijing Tourism Administration, Ecolab, Food Network South Beach Wine and Food Festival, Pernod Ricard USA, Rums of Puerto Rico, S.Pellegrino® Sparkling Natural Mineral Water; Media Sponsor: The Wall Street Journal and with additional support from Chefwear. Founded in 1986, the James Beard Foundation is dedicated to celebrating, preserving, and nurturing America's culinary heritage and diversity in order to elevate the appreciation of our culinary excellence. A cookbook author and teacher with an encyclopedic knowledge about food, James Beard, who died in 1985, was a champion of American cuisine. He helped educate and mentor generations of professional chefs and food enthusiasts. Today, the Beard Foundation continues in the same spirit by administering a number of diverse programs that include educational initiatives, food industry awards, scholarships to culinary schools, and publications, and by maintaining the historic James Beard House in New York City's Greenwich Village as a "performance space" for visiting chefs. For more information, please visit http://www.jamesbeard.org/. 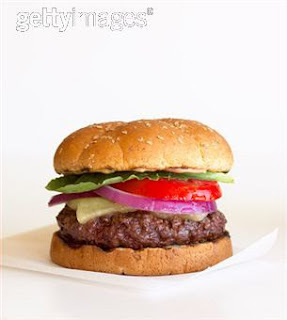 Find insights on food at the James Beard Foundation's blog Delights & Prejudices. Join the James Beard Foundation on Facebook. Follow the James Beard Foundation on Twitter. Photos of the May 2 Media & Cookbook Awards. Photos of the May 3 Awards. Indulge in the May Prix Fixe Menu Monday through Friday after 5 p.m. from now until May 31 at Glen Prairie (1250 Roosevelt Rd. Glen Ellyn; 630-613-1250). The Prix Fixe menu is offered in addition to the regular menu and will not be available on May 9. The Prix Fixe menu is $20 per person and includes the Soup of the Day for starters, followed by Spinach and Wild Mushroom Ravioli with roasted organic baby eggplant and tomato sauce and Pepato cheese. For dessert, enjoy a choice of the Daily Sorbet. 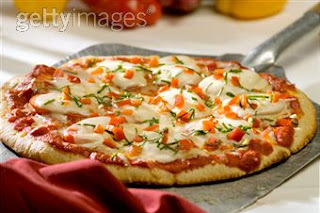 For reservations call (630) 613-1250 or visit www.glenprairie.com. Follow them on Twitter at @glenprairie. Enjoy the May Prix Fixe menu Monday through Friday now until May 31 at Karma (510 E. Route 83, Mundelein; 847-970-6900). The cost is $20 per person and the menu is offered in addition to the regular menu. 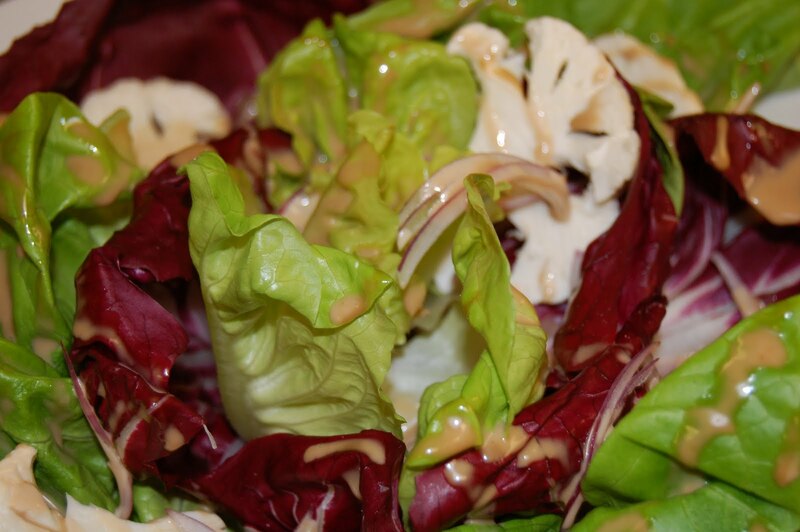 The Menu features Miso Soup, tofu and roasted nori, or Karma House Salad with crisp lettuce, napa cabbage, cucumber, daikon and carrot ginger dressing. Entrée includes either Jumbo Thai Vegetarian Spring Roll with carrots, napa cabbage, marinated tofu and sweet chili sauce; Honey Tamari Chicken with sautéed spinach and wok-tossed julienne vegetables on a glass noodle nest; or Thai Chili Beef with stir fried spiced beef tenderloin with Chinese noodles and baby bok choy, in mirin-miso beef broth (may be substituted for shrimp or chicken). 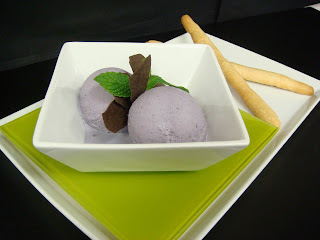 For dessert enjoy a Trio Of Sorbet or Ice Cream with fresh berries. The May Prix Fixe Menu is not valid with the Entertainment Book Promotion of buy one entrée, get one free. Birch River Grill is a contemporary restaurant that serves as a showcase for hearty American cuisine. It is open seven days a week and accepts all major credit cards. Complimentary parking is available. Lounge hours are Lunch: Monday – Sunday 11 a.m. – 3 p.m. Dinner: Monday – Thursday and Sunday: 5 p.m. – 11 p.m., Friday and Saturday: 5 p.m. – 12 a.m. 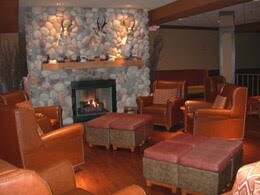 Lounge Menu is limited from 3 p.m. – 5 p.m.
For Reservations please call (847) 427-4242 or visit www.birchrivergrill.com. Tweet them at @birchrivergrill. Welcome the arrival of spring with new menus featuring seasonal ingredients from executive chef Daniel Ovanin, launching Monday, May 3 for lunch and dinner at Glen Prairie (1250 Roosevelt Rd., Glen Ellyn, Ill; 630-613-1250). Featured lunch appetizers include Daily Selection of Local Cheeses with crostini and cranberry relish ($9) and Buttermilk Fried, Herb Cheese Stuffed Mushrooms, horseradish sauce and garlic chile sauce ($7). Try a variety of salads including Radicchio and Butter Lettuce Salad, shaved red onion, Stickney Hill Farm goat cheese mousse and truffle balsamic vinaigrette ($7) and Prairie Cobb Salad, Amish chicken, Romaine, Nueske’s Applewood Smoked Bacon, fresh tomatoes, red onion, farm fresh eggs, avocado, Mindoro bleu cheese and champagne-cider vinaigrette ($12). Entrees include Express Lunch, a choice of ½ sandwich of the day, soup of the day, field greens or Caesar salad (choice of two is $7; choice of three is $9), Farm Fresh BLT, Nueske’s Applewood Smoked Bacon, crisp market greens, fresh tomatoes and toasted challah bread ($8), Miller Farms BBQ Grilled Chicken, housemade bbq sauce, mac ‘n’ locally farmed cheese and market three bean salad ($20). For dinner, enjoy starters including Pasture Fed Lamb Chops, buckwheat blini and apple and cherry root salad ($11); La Quercia Organic Prosciutto Plate, grilled sourdough, olive tapenade and olive oil ($9); and Becker Lane Organic Pork Sliders, horseradish root coleslaw and housemade bbq sauce ($8). Try new salads like the seasonal Local Farmed Asparagus, prosciutto, wild mushrooms, truffle baslsamic vinaigrette and Pepato cheese ($8). Dinner entrees include Pan Seared Wild Caught Sea Scallops, sweet pea and Nueske’s Bacon Risotto and organic carrots ($24), Wild Caught Alaskan Halibut, caramelized cauliflower and sautéed organic spinach ($23) and Grilled Dakota Farmed Bison Ribeye, celery root whipped potatoes and grilled asparagus ($34). For customers with dining restrictions, ask servers about gluten-free menu items. For reservations or more information, call (630) 613-1250 or visit www.glenprairie.com. Follow them on Twitter at @glenprairie.